All elements of your business IT hinge on the dependability of your technology to deliver vital information right when you need it. 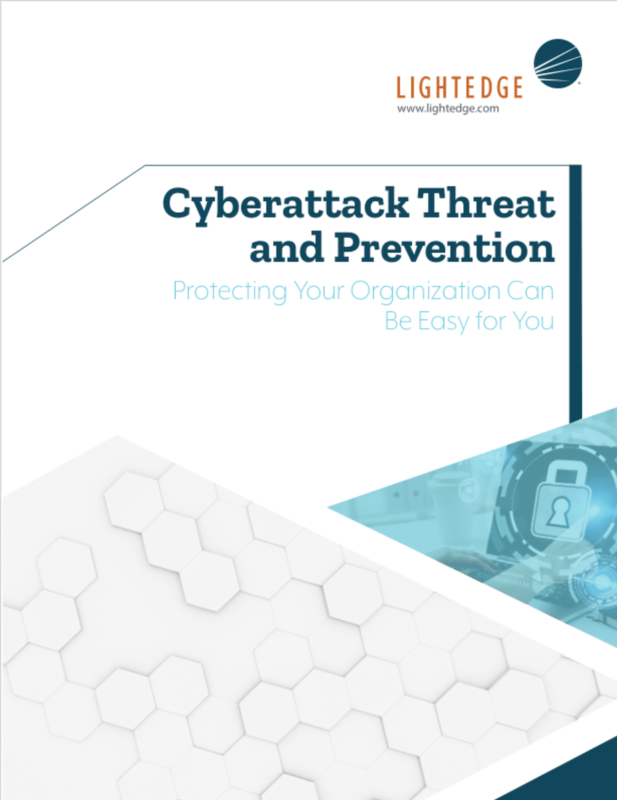 LightEdge is your trusted local partner delivering fully integrated data protection, disaster recovery services, and workplace recovery facilities to ensure your business is always fully covered and operational and meets required compliance standards like HIPAA. LightEdge Disaster Recovery offers a comprehensive set of disaster recovery solutions to ensure uninterrupted performance of IT operations and mission-critical systems in the event of a disaster. Our experts will tailor a suite of services to meet your specific requirements. Rest easy knowing LightEdge has you covered. We provide fully integrated, secure and comprehensive components that fulfill the offsite data protection requirements of an on-premises facility. Your important information will be protected from from corruption, compromise and loss. LightEdge Workplace Recovery is equipped with desks, power, phones, computers and connectivity. We can house your critical staff in the event your primary business location becomes unavailable. Your services can quickly be turned on at the disaster recovery workspace to minimize downtime. Learn more and view our locations. Curious how you stack up? Our security experts will provide a security assessment to see how you measure up against compliance and security standards. No risk, no commitment.